With the 57th National Association of Television Programming Executive convention set to start this coming Tuesday from the Fontianebleau Hotel in Miami, there is actually something to talk about regarding syndication in 2019, in vast contrast to previous years. That’s because syndicators are actually offering new programming and a few veteran programs are actually on the bubble. And in another oddity: there is an absence of new off-network product in syndication this fall as sitcoms The Big Bang Theory and Modern Family continue to dominate in the ratings. 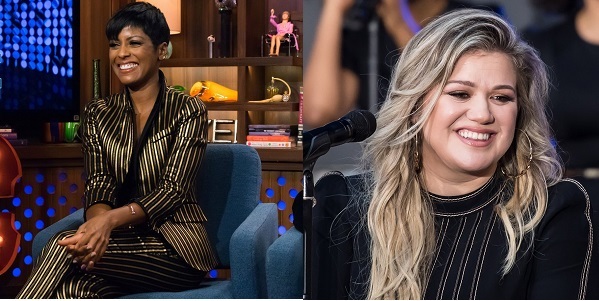 The focus is on daytime and early fringe – especially with NBC Universal Television Distribution and Disney-ABC Domestic Television bringing new talkers helmed by Kelly Clarkson and Tamron Hall to market as both shows are being marketed at NATPE in Miami next week. Clarkson and Hall have been sold to the NBC O&Os and ABC O&Os, respectively, with Clarkson set to air on NBC 5 (WMAQ) in Chicago, and Hall on ABC 7 (WLS-TV). Clarkson is reportedly set to take over Steve’s slot on the NBC-owned stations this fall. As for the future of his program, Harvey said at CES recently he hoped the series would continue under another syndicator. Despite decent ratings, production costs for Steve ballooned after moving from Chicago to Los Angeles in 2017. Plus, even though NBCU syndicates Steve, it doesn’t own it; it’s produced by IMG – Clarkson’s show is owned by NBCU. This won’t be the only changes at the NBC-owned stations this fall. Two other programs – long-running newsmagazine Access and spin-off Access Live may be undergoing some changes soon as hosts Natalie Morales and Kit Hoover are reportedly out, and current Extra host Mario Lopez is being considered to take over as host of the prime access (hour before primetime) show. The moves are obviously meant to boost sagging ratings for both programs, who each dropped the “Hollywood” name a year ago as a means of expanding coverage outside of celebrity news. There is also talk about expanding Access to an hour to replace the departing Extra, but if this goes forward, it remains to be seen how this would fit into stations’ schedules who didn’t carry Extra in prime access – especially at WMAQ and Washington’s WRC, who both air news as an Access lead-in. Meanwhile, Tamron Hall’s clearances are expected to be announced this week, with speculation centered on replacing Who Wants To Be A Millionaire and Right This Minute on the ABC-owned stations (both air on WLS in late night.) 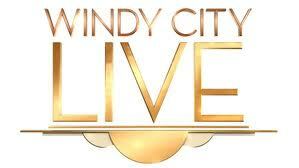 In Chicago’s case, Hall could wind up replacing Windy City Live at 1 p.m. WLS could be forced to repeat a scenario from 2013 when the station dropped its 11 a.m. newscast in 2013 to make room for Live With Kelly and Michael (now Kelly and Ryan) at 9 a.m. and moved Windy to 11 a.m. Hall could also wind up in late-night. ABC 7’s “Windy City Live” could lose its 1 p.m. slot to Tamron Hall’s new show come September. Another new contender in the daytime TV sweepstakes is motivational speaker Mel Robbins, whose Sony show is cleared on Tribune stations – although it is not known if flagship WGN would carry it. The move signals Tribune’s intent to back away from conflict talk as numerous stations carry Steve Wilkos and Maury. Elsewhere, MGM recently announced two new first-run strips (daily shows): Personal Injury Court, featuring litigants who looking for payouts for their injuries; and The Drama, where a panel hands out advice with a “touch of humor” to people dealing with personal problems. The company already has Paternity Court with Lauren Lake and Couples Court on the air, neither are measured by Nielsen since MGM does not subscribe to the ratings service and both are not on the air in every market. In terms of shows on the bubble – in addition to Millionaire, Minute, and Steve, others in jeopardy include Discovery’s True Crime Files and Sony’s Live PD Police Patrol, whose primary airing was downgraded in Chicago last week. Other programs on the bubble include Twentieth’s Page Six TV, Dish Nation, and Top 30 as the syndicator prepares to be taken over by Disney; and PPI’s Canadian talk show Cityline. Meanwhile, Debmar’s Caught In Providence was recently renewed for a second season. As for weekly syndicated programming, former daytime TV judge Joe Brown is coming back with a new topics-driven show Hot Topics With Judge Joe, which begins next month over Fox-owned WPWR; PPI has a new reality/drama hybrid Forensic Factor and is expected to be paired with The Listener in some markets. Last but not least – is perhaps for the first time in recent memory, no major off-network sitcom is being offered for next fall, meaning stations’ over-reliance on aging off-CBS sitcoms Mike & Molly, Rules of Engagement, 2 Broke Girls, and The King of Queens is likely to continue – not to mention Seinfeld and Friends, the latter recently renewing its Netflix deal for an eye-popping $100 million for one year. However, Twentieth is rumored to expand Bob’s Burgers to weekdays next fall, from its weekend-only airings. The downside is the series could be forced to air in late-night and overnight time slots, where the majority of Twenieth’s off-network animated series (American Dad, King of the Hill, Family Guy and The Cleveland Show) currently reside. In the coming days, expect more new projects to be announced as we head into NATPE.